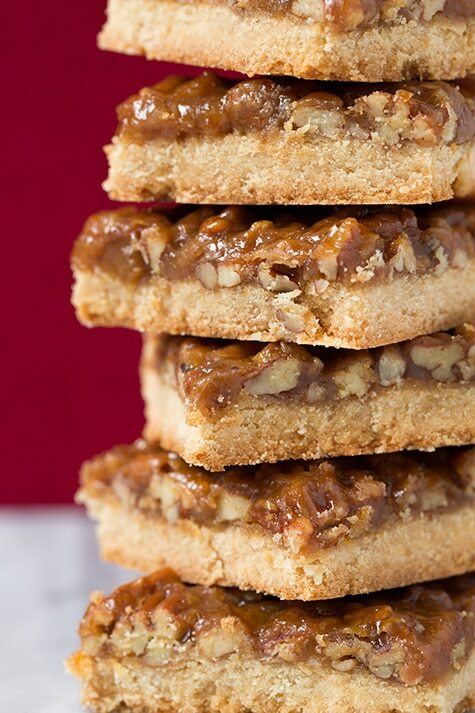 Pecan Pie Bars have all the tempting flavors a pecan pie in easier to make bar form! You get a buttery shortbread crust that’s layered with a crisp, sweet pecan topping that’s sure to leave people craving more! If you are like me, sometimes it can seem tedious to make a pie from scratch. More than anything it’s the wait for the pie crust to chill that gets me. These however, are much easier to make than a pie and they taste just as good. 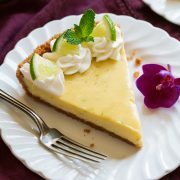 Yes, we all love the traditional pies but sometimes during the holidays isn’t it nice to see something new at the table? A twist on a classic? I love any dessert in bar form so I new I needed to try out these pecan pie bars. These of course would be perfect for Thanksgiving or they would also be great to give as gifts. And no one needs to know that they didn’t take hours to prepare. 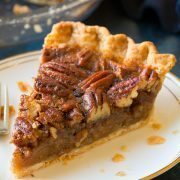 Once you sink your teeth into the sweet and crunchy pecan topping, through that tender, buttery shortbread crust (that just melts away in your mouth) you may start to become converted to making pies in bar form more often. Enjoy! 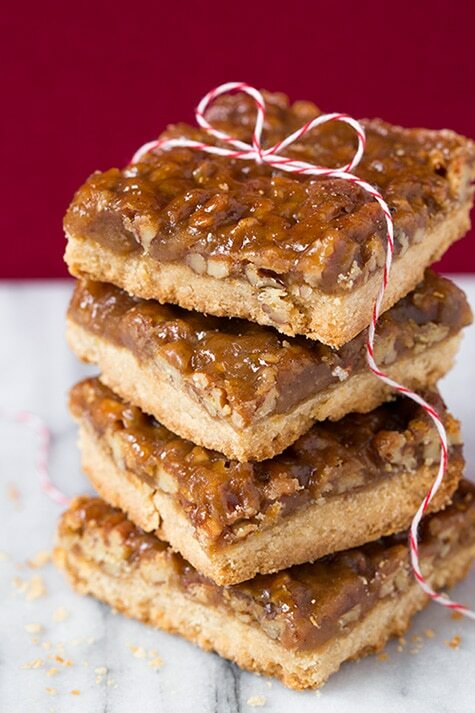 Pecan Pie Bars have all the tempting flavors a pecan pie in easier to make bar form! You get a buttery shortbread crust that's layered with a crisp, sweet pecan topping that's sure to leave people craving more! Preheat oven to 350 degrees. Line a 13 by 9-inch baking dish with foil, leaving a two-inch overhang on all sides. In the bowl of an electric stand mixer, whip 1 cup butter with 2/3 cup brown sugar and 1/2 tsp salt until pale and fluffy. Mix in vanilla bean paste. With mixer set on low speed, slowly add in flour and mix until dough begins to come together in crumbles. 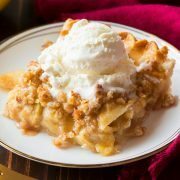 Press mixture into an even layer in prepared baking dish and bake in preheated oven 20 minutes, or until edges are golden. Meanwhile prepare the topping by melting together 1/2 cup butter, brown sugar, honey, heavy cream and salt in a heavy-bottomed medium saucepan set over medium heat. Simmer mixture 1 minute, then stir in orange zest and pecans. Pour pecan mixture over hot shortbread and spread into an even layer. Return to oven and bake until top is bubbling, about 20 minutes. Allow to cool completely on a wire rack (you can cool in the fridge or freezer to speed up cooling) then, using foil overhang lift bars out and cut into squares. Store in an airtight container. 1) Is Pecan topping so crunchy and chewy?